Will Reptilian Rage Add To Consumer Rage? Let me offer the flip side. I hope that it’s a kid-friendly book, if not directly for kids. 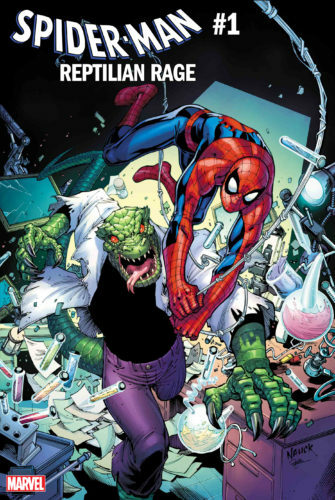 Thus if you’re a parent walking into a comics shop because your kid is excited about Spider-Man, and also your kid loves dinosaurs and lizards (because many children do), a book that specifically promises Spider-Man fighting the Lizard will be a cool thing. It’s also really easier for retailers to point this hypothetical parent toward. On that basis, I’ll say take a look. 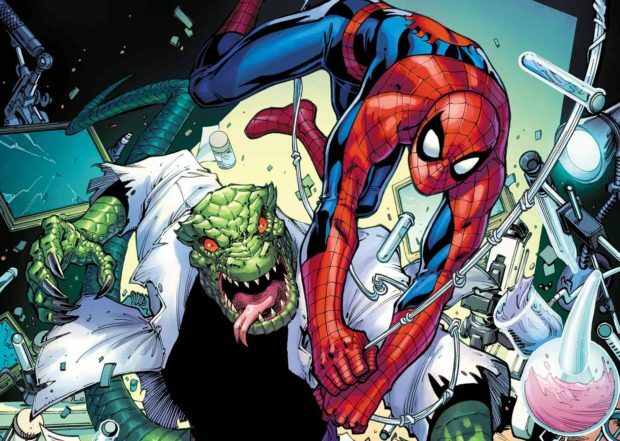 But retailers have been calling out Marvel specifically for Spider-Man saturation — Amazing Spider-Man, Friendly Neighborhood Spider-Man, Spider-Verse, Videogame Spider-Man, No Actual Spiders Were Harmed in the Making of This Spider-Man Book Spider-Man, and the list goes on and on. As consumers, we really have to take a step back and be more critical about our consumption. Also, Soapbox Spider-Man. Okay. I might buy that one. And if you’re new to comics, the Ralph Macchio who wrote this book is not the Ralph Macchio who is the Karate Kid.